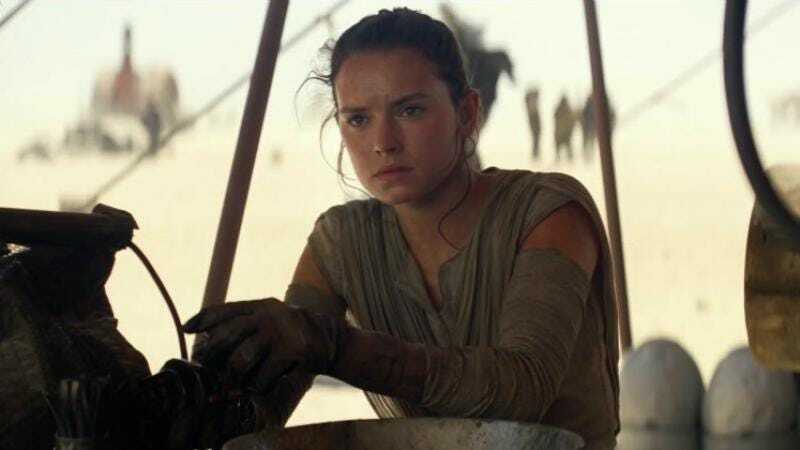 Hasbro changes course again, adds Rey to Star Wars Monopoly in the U.S. In the latest episode of the Star Wars Monopoly Rey token saga, Hasbro is now selling a version of the game with a little figurine modeled after the character. According to The Hollywood Reporter, this last-minute switcheroo comes one week after the toy giant said retailer interest in the game and figurine had been “insufficient” in markets abroad, which is why it chose not to sell the game in the U.S.—which, incidentally, is where an 8-year-old girl from Evanston, Illinois kicked off this whole thing in the first place. That announcement came more than a year after Hasbro declared it would add Rey to the game despite initially fearing it would spoil Episode VII, presumably because people could use the Force to surmise the ending after just seeing the token. The new Star Wars Monopoly game, complete with Rey token, will be available on July 25, and is currently for sale at Hasbro’s site. The toy company did make one more questionable move before putting this matter to rest, though—THR notes that Hasbro originally indicated that only one set could be purchased per household. The Associated Press reached out to Hasbro about that limit, but that line was soon removed from the product’s description. You‘re now free to purchase as many Rey-inclusive Stars Wars Monopoly sets as you please; in fact, you might want to stock up before The Last Jedi comes out and this cycle repeats itself.